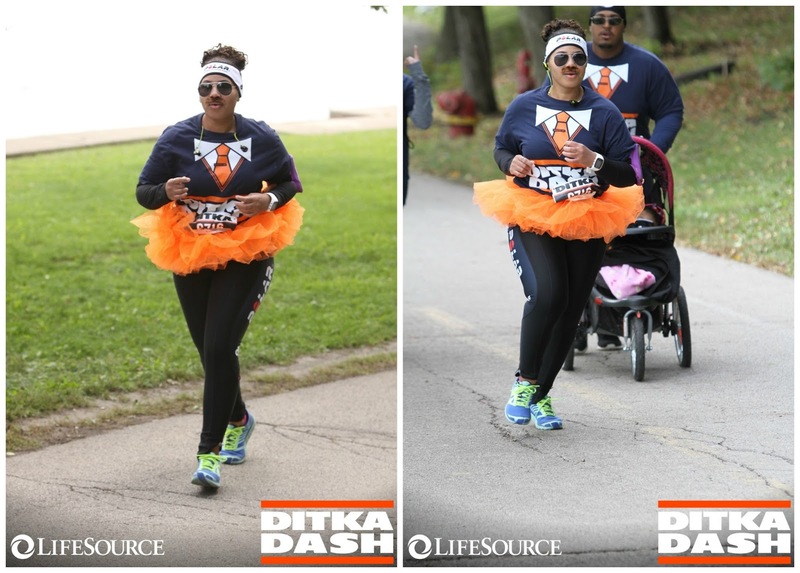 Last month I did the Ditka Dash at Soldier Field. What a FUN race!!! Originally, I didn't have any interest in doing this race. It didn't spark my interest when I first seen advertisements for this on Facebook. I tagged hubby in the advertisement and it immediately sparked his interest, so we decided to sign up. I am extremely glad that I signed up for this. It was such an awesome race! 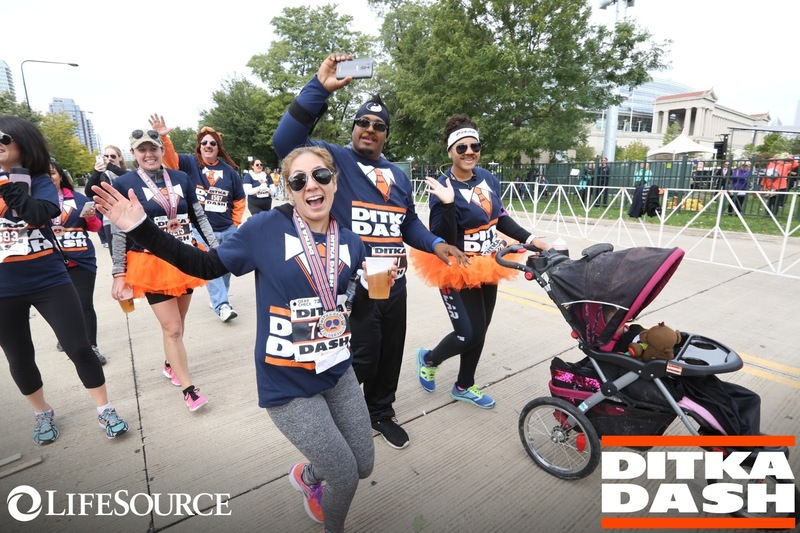 At first, I was like okay, it's the same course at Soldier Field as a ton of other Chicago races and I was getting pretty bored with the same Soldier Field course, but they really threw me for a loop when I did the course. With our packets, we received a stache to wear and aviator sunglasses. I wore them both and I looked pretty darn awesome! 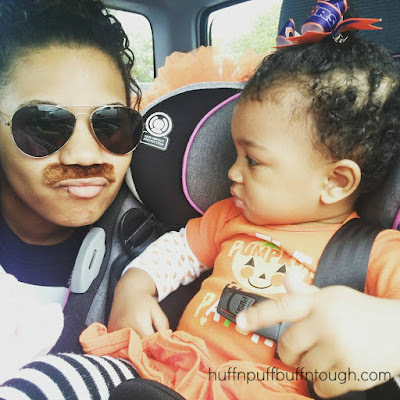 :) Harlie Jade on the other hand wasn't diggin' the stache. She kept giving me the weirdest looks after I put it on. I was signed up for the second of three waves and ended up doing the third and last wave. Yeah, you can pretty much guess why (Husband's fault). It didn't matter anyways. They were letting waves go every 5 minutes because there were so many participants. People from the earlier waves were also joining the last wave to do it again! I would have done it again if I was in the earlier wave. 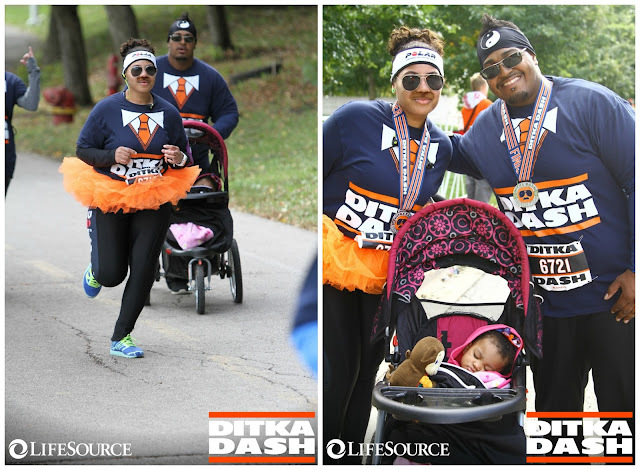 Ditka himself was there to see all the participants off at the starting line. Starting line and people from earlier waves joining the last wave. My husband in the middle getting video of Ditka himself! The first stop we made was at the photo opp station. 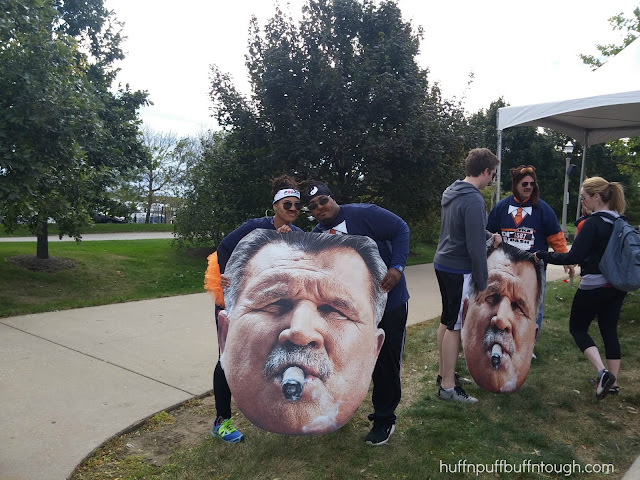 They had huge cutouts of Ditka's face. We thought it would be fun to stop for the photo opp. Then, we got to run through the tunnels of McCormick Place and I thought that was extremely awesome!!! This was one part of the course of many that threw me for a loop. 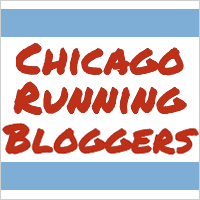 It wasn't the same old Soldier Field/McCormick Place course that many races use. They switched things up and it was so refreshing! While running through the McCormick tunnels there were 2 DJ's playing music as we ran and danced through the tunnels. One DJ was at the entrance of the tunnel and the other one was at the exit end of the tunnel and he was playing one of my jams (Living On A Prayer - Bon Jovi). I was thrown for another loop when we were running. Instead of taking us on the same lakefront path, we were running the streets nearby. 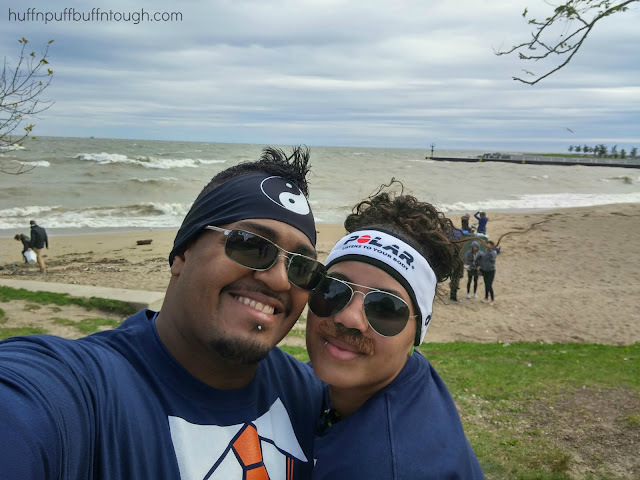 We came back on that same lakefront path, but was totally ok with me because that was the only time we were running it. We weren't running up that path only to turn around and run the same path back, like majority of Chicago race courses in that particular area. 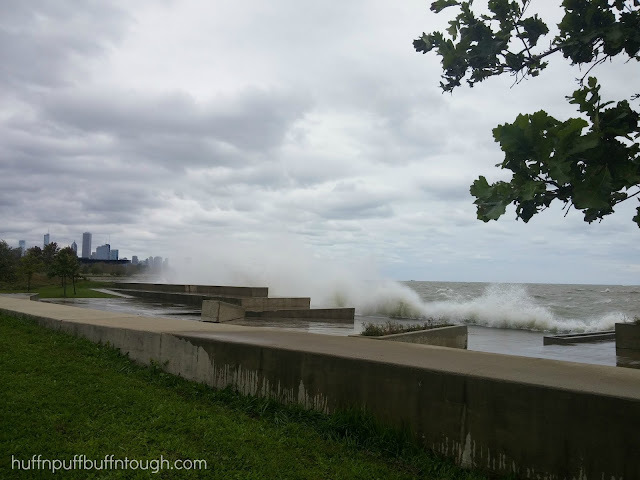 When we got on the lakefront path, we stopped to take a few pictures of the huge waves. The Chicago area was dealing with high winds for a couple of days, so the waves were in full force! Those were like Hawaii waves and at the time it really made me miss Hawaii and the Pacific Ocean. Despite all of the stopping I did, I still made a PR by two minutes. I had such a fun time!! I felt like I was in a parade. I really enjoyed the outfits and costumes, the course and the people. Even though it was windy and cold as all heck, I really enjoyed myself. 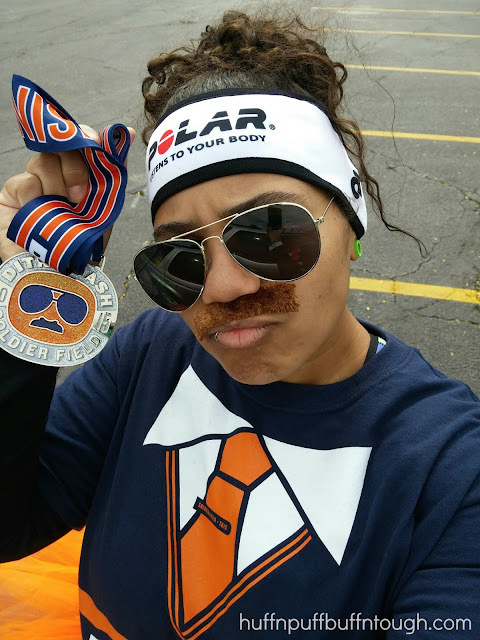 The swag bag was AWESOME (shirt, restaurant coupons, stache, sunglasses, medal) and the medal was insanely badass!!! 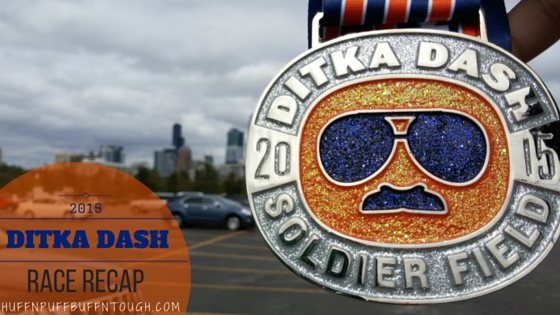 Ditka Dash will definitely be on my list for 2016 races. My fiance is a huge Bears fan, I am a Packers fan myself. However, I would have loved to run this race! I love the medal! 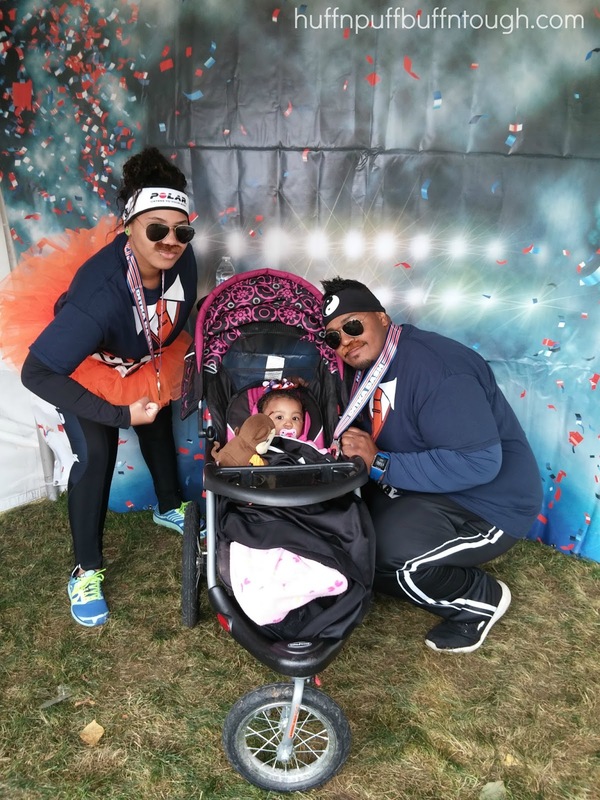 I am planning on running the Solider Field 10 Miler in May and I cannot wait. I have ran through Lambeau Feild so now I have to run Solider and then down the road maybe Ford and US Bank (make my way through the NFC). By the way, I love the mustache! I am not a Bears fan, but I had a blast running this race! It was so much fun! I thought about the Soldier Field 10 Miler. I am still deciding on if I want to do it or not. Congrats on your PR! Seriously, what a hilarious and awesome race! Thank you :) It was a ton of fun!